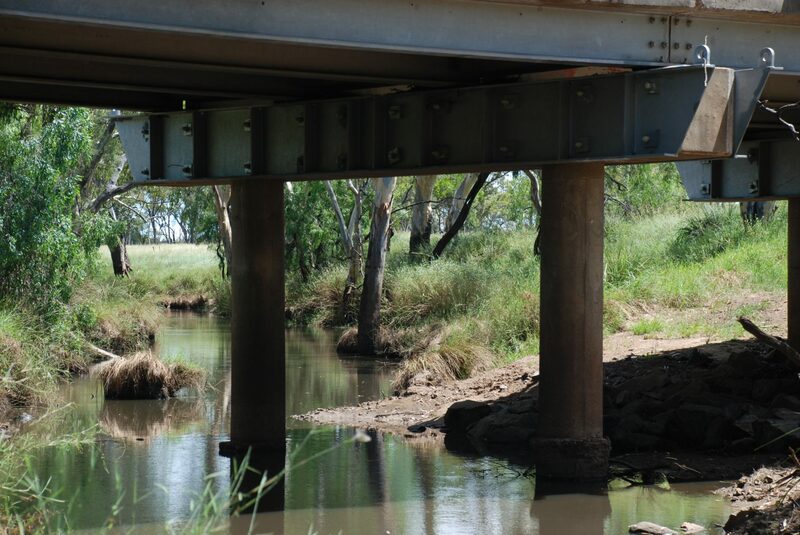 The Murilla Creek Bridge is located in remote Western Queensland. 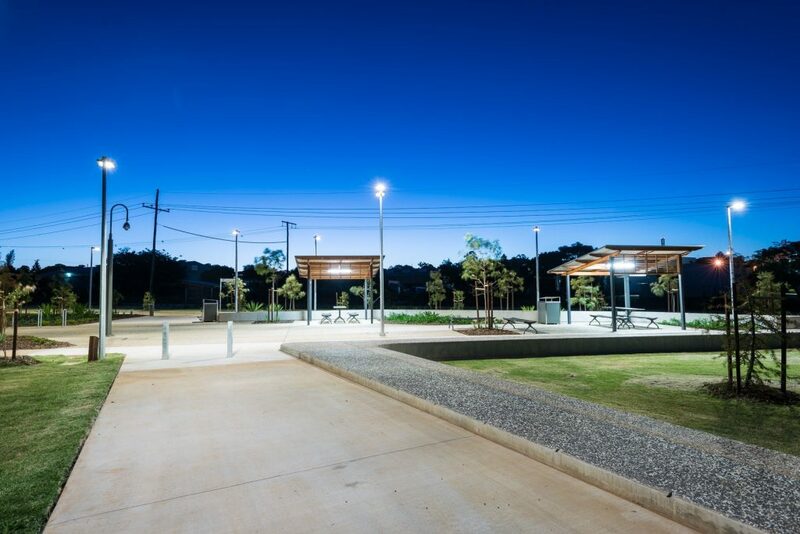 Rehabilitation of the bridge was part of the Federal Government’s Heavy Vehicle Safety and Productivity initiative to provide improved infrastructure for the transport industry. 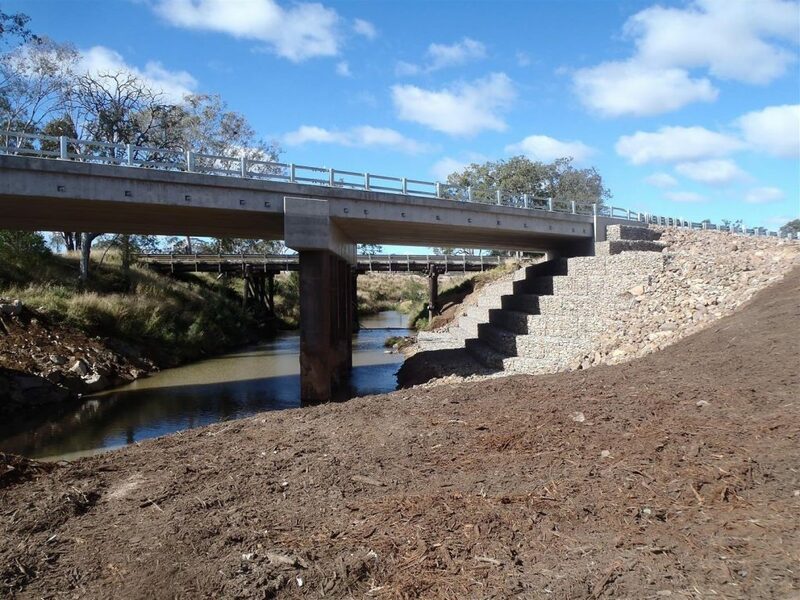 The FKG Group was contracted by the Department of Transport and Main Roads to project manage the strengthening of the bridge and to undertake flood repairs whilst on-site. 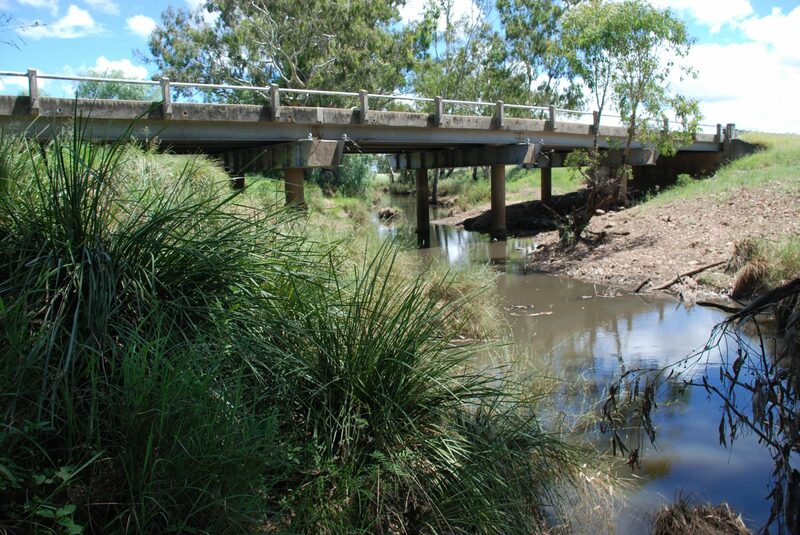 Dogwood Creek Bridge is located on the outskirts of Miles, on the Warrego Highway in the Western Downs Region. 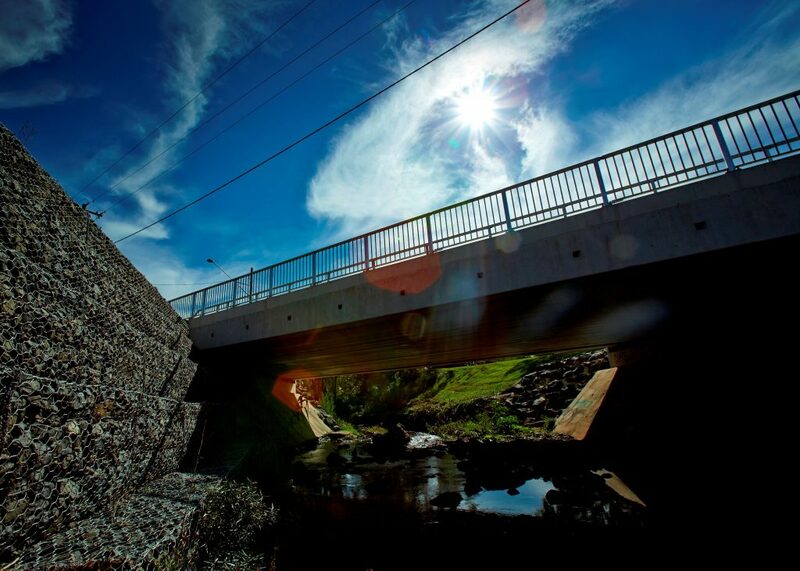 During construction works, a 25-tonne crane was used to sling and position the support cradles under the bridge deck, enabling construction to proceed unaffected by the permanent creek below.